Russian Prime Minister and former President Dmitry Medvedev has said aliens have visited the planet in an apparently unguarded moment during a Russian television interview. In the interview with five journalists from leading Russian TV channels, Medvedev confirmed his support for President Vladimir Putin and dismissed rumors that he was on the brink of being fired. He also addressed the panic (as reported by the New York Times last week) in some Russian regions about Mayan prophecies. 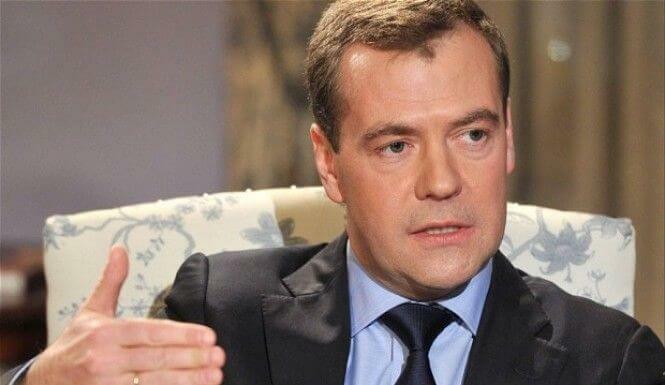 For the record, Medvedev said he did not believe the world would end on December 21. But it was when Medvedev thought that the cameras were no longer filming that he made the remarks about aliens, as well as less than complimentary comments about his former mentor, President Putin. While it’s believed Medvedev was probably joking about aliens, he did go on to make other compromising comments about Putin while he thought he was off-air. “Colleagues, somebody should be extremely punctual, while somebody else is exhausting all the limits for being late,” he said in reference to Putin’s tardiness for an event in southern Russia that same day. UK news outlet, The Telegraph, reports that although none of the TV stations that interviewed Medvedev broadcast the off-air comments, they were subsequently sent to news wire agency Reuters with some finding their way onto YouTube. Medvedev’s comments have now inspired widespread ridicule on the Internet, though alien conspiracists will likely seize on them as more evidence of a “New World Order” cover up. President Putin, a former KGB spy, and Prime Minister Medvedev worked together extensively during the 1990’s and it was Putin who endorsed Medvedev’s rise to power when he became Russia’s youngest president in 2008 at the age of 43. Some political watchers believe Medvedev will only remain in his current position until March or April due to ongoing political wars between rival factions. Recent events probably won’t help.